Our cashback, your favourite retailers and their sales. January sales are still in full swing and we've gathered up your favourite retailers' extended sales, further reductions and new added lines, along with our exclusively high cashback rates. Get £100 off short and mid haul summer holidays with minimum spend of £1,000 using our code. 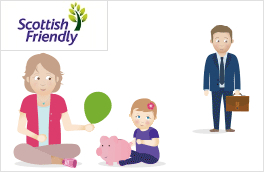 Invest from just £10 a month in an Investment ISA with Scottish Friendly. Capital at risk. Get inspiration for your next trip and check out Australia's best sports bars & the UK's best family friendly beaches. 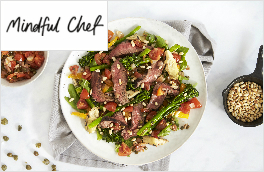 Starting from just £4, get everything you need delivered to you to make a delicious low-carb evening meal. Get £200,000 of cover for under £7 per month with Beagle Street* and receive up to £470 cashback. The Epic Red Sale is still on, don't miss your opportunity to get up to 50% off. Broadband Unlimited, Talk and line rental without TV just £18 p/m for 18 months (£9.95 set-up fee). Grab a winter getaway with up to 20% off at AccorHotels for a limited time only. Get a special offer today, including BOGOF, free items and up to 30% off selected products. 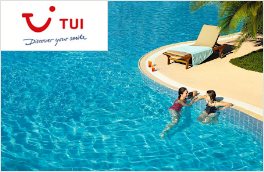 Today's top deals - unlock up to 41% off select hotels by booking a flight or car package. Check out big savings on selected packages and reward cards worth up to £120 in the January Sale. Get up to 6 months half price on a pay monthly deal featuring plans for the Samsung Galaxy S9. New customers. Get up to 50% off in the January Sale with top brands such as bareMinerals & Benefit. (Was £555). Help protect your family with Life Insurance from £7 a month with terminal illness cover included at no extra cost. Up to £20 cashback on your first 5 grocery shops when you spend £80 or more, plus great offers in the save 1/3 event at Waitrose & Partners. Super Sale now on! Unlimited Fibre Extra & line rental, £27.99 for 18 months with £9.95 activation fee. You can now get up to 30% off in the Under Armour outlet on tops, bottoms, accessories and footwear. Fly Manchester to New York from just £279.99 return or Manchester to Barbados from just £449.99 return. It's the last day of the Up To Half Price Sale, plus an extra 15% off everything, don't miss out. Get totally unlimited fibre broadband with free anytime calls for just £25 a month with £9.99 setup fee. Save 25% off everything when you spend £250 or more using our code. Make your 2019 travel plans hassle-free with a guaranteed airport parking space at the lowest price. 5 Star Defaqto rated Landlord Insurance from £11 a month (0% APR). Shop the clearance for big discounts on lighting, tools, heating, kitchen, outdoor and garden. Get £50 credit after 12 months if you install a smart meter on the Smart 1 Year Fixed plan. Hot deal! Get 30GB of data for £16 p/m on a 12-month SIM only contract. Get up to 70% no claim discount for 5 or more claim-free years and receive exclusive cashback. Check out trending destinations such as Lanzarote, Playa Blanca and Majorca. Free £20 M&S Voucher on first orders as a business customer on spends over £129 ex VAT with our code! Challenge your renewal quote and see how much you could save. Check out the 4 week Slender Plan - a tasty meal replacement shake that gives you fast results. Offer extended! Shop the Holiday Collection with 20% off for a limited time only. Lowest ticket price guaranteed - limited time only! Plus, book by 1st April 2019 to receive a FREE Toy Story Land Magic Band! Enjoy free delivery on all orders over £25 at Hotter Shoes when you enter our code at checkout. Help build a nest egg for your child's future by saving for them tax efficiently, from just £10 month. Compare cheap Car Insurance quotes and you could save up to £279. Bag a bargain with up to 50% off now in the sale covering all ranges. This is the year you make it happen. Meet your goals with courses from just £9.99. Get up to 80% off in the Shoeaholics Clearance Event. Shop 1,000's of styles at prices you won't believe. Save 13% off when you spend £13 using our code (excluding sale items). Shop the Winter Sale for up to 50% off bestsellers, personalised items, top picks and more. Further reductions of up to 60% off, featuring men's shirts for £19.95 and suits from £129. Subscribe to your favourite magazines from as little as £1 this month at Great Magazines. Get a New Year Sale discount and save up to 20% on your 2019 adventure. Save up to 40% off in the Winter Sale and 20% off selected styles using our code. Get your hands on the bestselling 5W LED GU10, yours for as low as £1.53. Less is more - get 50% off the A La Carte Menu at Chez Mal.